One of our favorite aspects of cold weather is getting to wear warm and cozy sweaters! 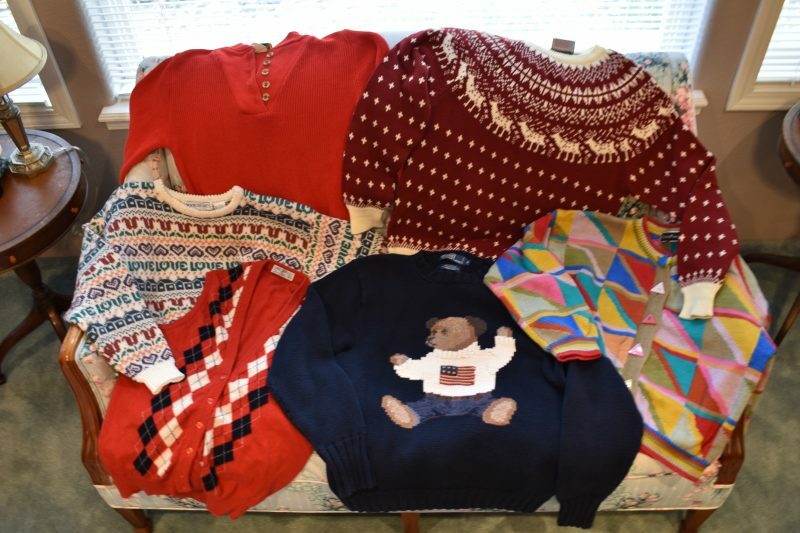 This year, Brittany scoured Goodwill and rummage sales for unique sweaters for our sweater challenge! 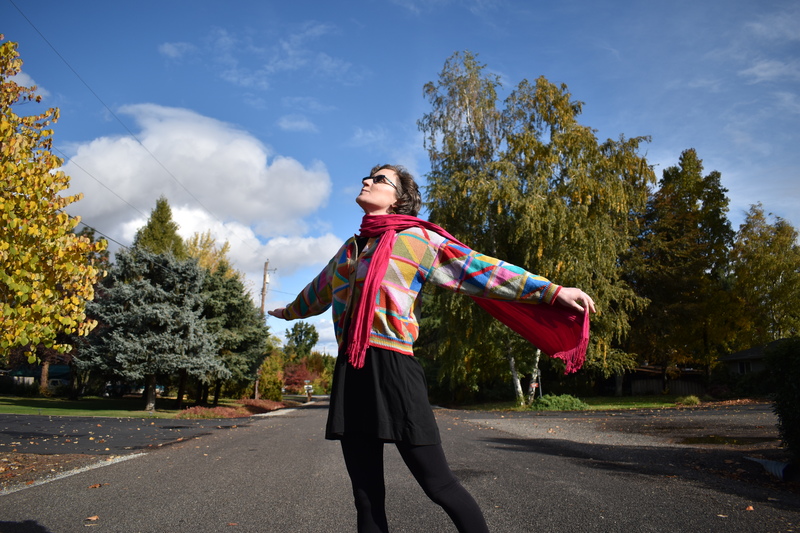 The result was a fun fall photo-shoot with creative and wearable sweater combinations. 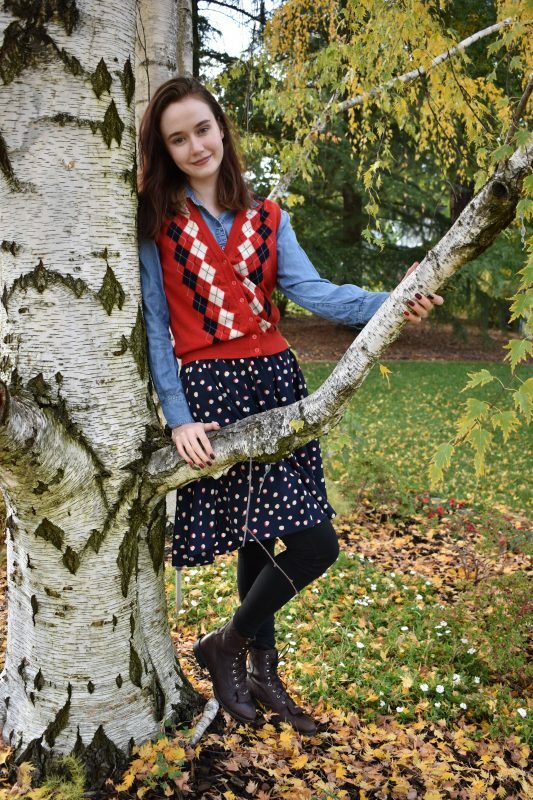 My favorite thing about this sweater vest was the fact that it buttoned up. The buttons made it more unique and wearable than sweater vests that are pullovers. The wool fabric was warm but not too thick. When thick knit sweater vests bunch, the result can be ugly and uncomfortable. This sweater vest passed the cute bunchy test. The triangle buttons and geometric pattern on this vintage sweater made it the perfect statement piece for a holiday outfit. Straight out of the 1980’s, it’s a party waiting to happen! Thanks to Auntie Mug for the *perfect* earrings to go with it! 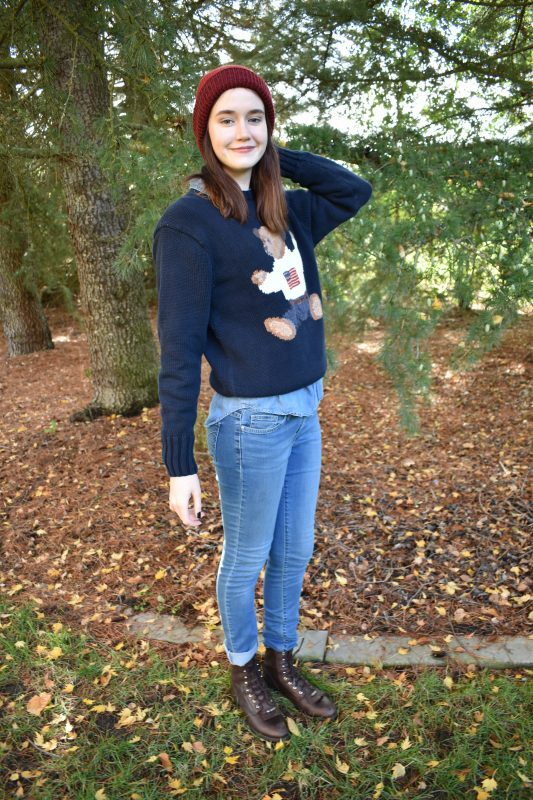 The Teddy Bear Sweater from the 90s! You can’t go wrong with a ruby sweater. The buttons really caught Brittany’s eye and gave this classic more personality. (Vintage REI!) 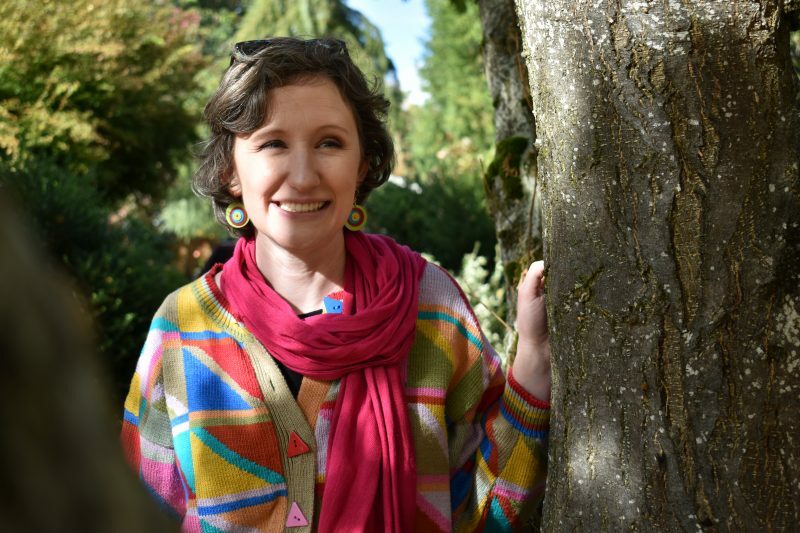 The great thing about a solid colored sweater is that it can go with a variety of patterns. 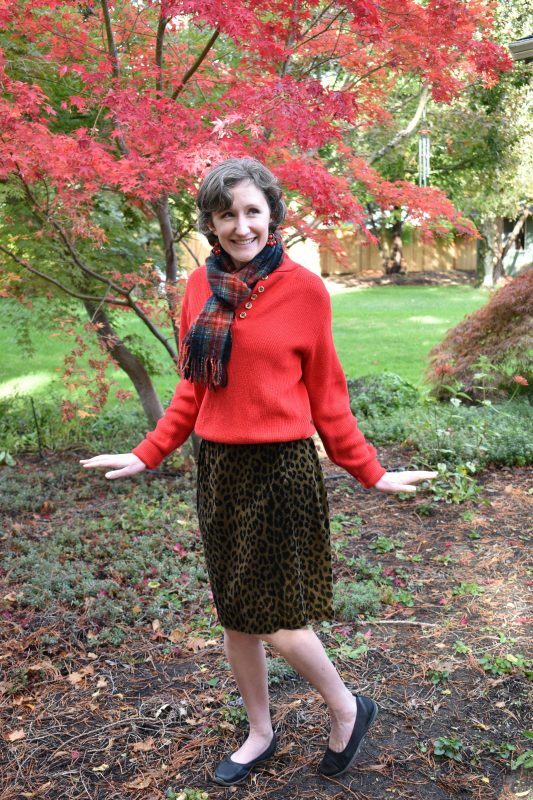 Brittany tucked this sweater into the skirt for a relaxed but dressy look. Time for some fashion tips from Grandpa. 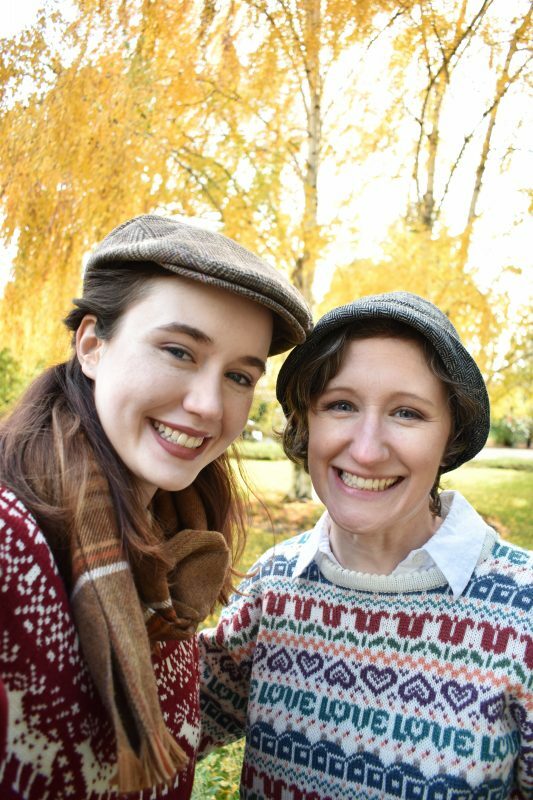 I paired this sweater with a tweed cap and plaid scarf to play up the classic look. My yoga pants and boots made for a comfy, easy pairing. No Place Like Home Sweater! Brittany decided to go preppy with this cute wool sweater. 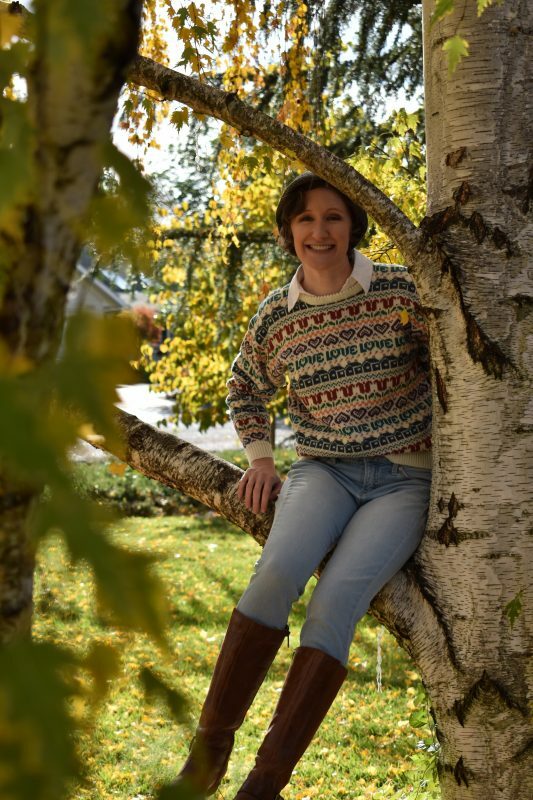 The boxy fit of the sweater played nicely with skinny jeans and knee high boots. She added a cloche hat to play up the English countryside vibe. Mission Completed! Let the cold weather come! 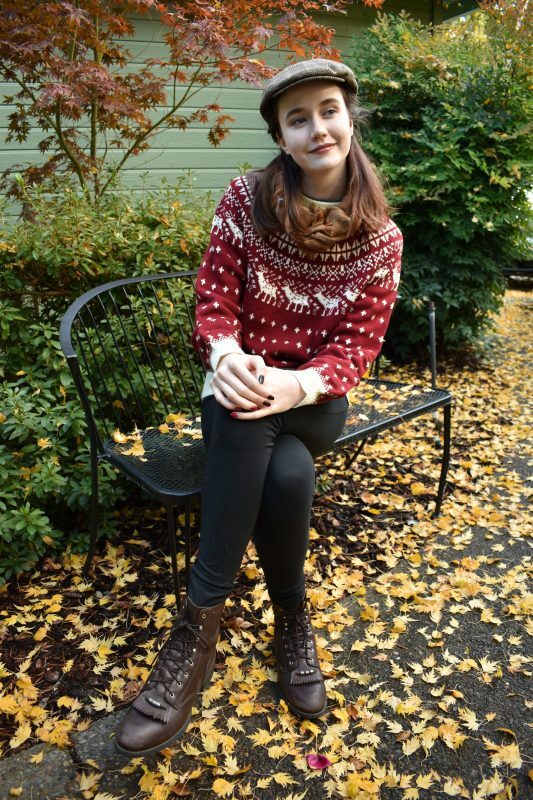 We hope you enjoyed our post and have been inspired to find your own unique winter sweaters! Happy Thrifting!